Transmissions calendar 2019 Kickstarter is now LIVE! 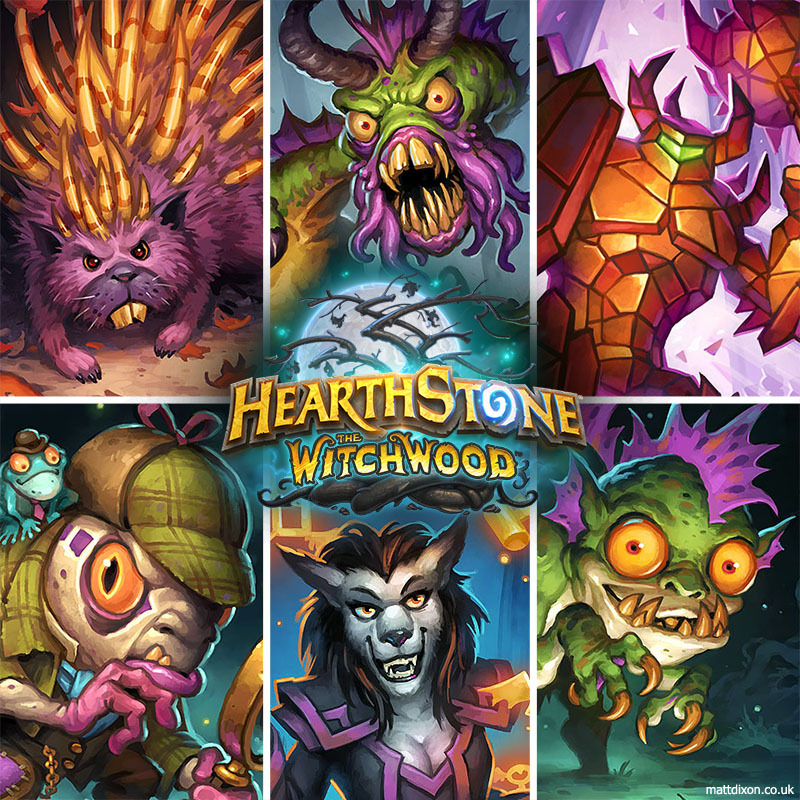 Prints of some of my work for the latest Hearthstone expansion, The Witchwood, are now available in the Hearthstone sectioon of this site. 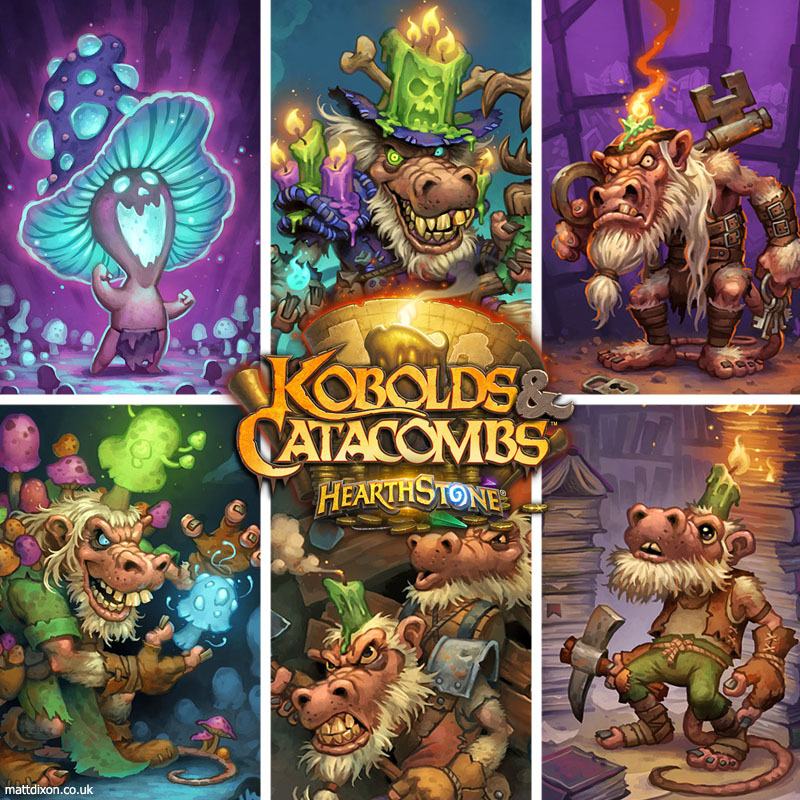 Choose Murloc Holmes to add a whiff of mystery to your workspace, Muckling as a creepy cute gift for your favourite swamp monster, or Shudderwock if your walls need a touch of bellowing horror. There's something for everyone! Transmissions 4 is a wrap! The final Kickstarter rewards are preparing to journey towards their owners, so I'm calling the Transmissions 4 campaign complete. Thanks to everyone for the amazing support. I'm delighted with the reaction to the book and it's wonderful to think that the pictures I spend my time quietly making in my dark little attic in the Midlands have found homes on bookshelves across the globe. Thank you! Now the campaign is concluded, Transmissions 4 is on general sale and I've begun to make work from the book available as prints. You can find both in the Transmissions section of the site. So what's next, I hear you cry? Work on Transmissions 5 has already begun, but it's a little early to start thinking about the next book too seriously. Next up is the 2019 Transmissions calendar which will be heading to Kickstarter next month. After that, I have a new project which will hopefully launch later in the year. More on that nearer the time, but I can confirm it has nothing to do with robots. Transmissions 4 has gone to press! All the artwork is complete, the layout is done, and the files are now in the capable hands of my printer. The books should be with me in a couple of weeks, so Kickstarter rewards should begin to despatch this month, with pre-orders following hot on their heels. Card reveals for the new Hearthstone expansion, The Witchwood, are in full swing. I love to see all the cool new art dropping. Here's on of mine, 'Totem Cruncher'. The Kickstarter campaign for my new book of robot art, Transmissions 4, has ended. The project was funded in just under two hours and by the end of the 30 day campaign was over 1000% funded by 552 backers. Thank you to everyone who supported the campaign. It's difficult to describe how it feels to have so many people get behind an idea that's so close to the heart but it's a very special thing and I am grateful to each and every one of you. Transmissions 4 is now available to pre-order here. Pre-orders will despatch once all Kickstarter rewards have shipped. Probably in early June. Once Kickstarter rewards have been sent, work from Transmissions 4 will also be available to buy as prints. If you would like to be notified once these prints are available please sign up to my newsletter. I now have some busy weeks ahead! The Kickstarter campaign for Transmissions 4, my new book of robot art, is now live! Transmissions 4 follows the same format as it's predecessors; A4 in size with 36 full colour pages and perfect bound with a laminated soft cover. Nothing gives me more pleasure than exploring the world these robots inhabit and making pictures of what I find. I hope you can find space on your bookshelf for some new rusty freinds. Crowd funding relies on getting as many people to see the project as possible. Any assistance you can offer in that department would be greatly appreciated. Please spread the word on social media if you can. Thank you! To be notified when the campaign is live, please sign up to my newsletter.